The latest OPEC meeting was uncharacteristically tranquil, with little of the eleventh hour infighting and arm-twisting that has been so prevalent in previous meetings. The cooperative spirit has allowed OPEC to roll over its production cuts for another nine months, as expected, a move that has to be described as a successful outcome. "Nine months with the same level of production that our member countries have been producing at is a very safe and almost certain option to do the trick,” Saudi energy minister Khalid al-Falih told reporters. Yet the oil markets are unimpressed. 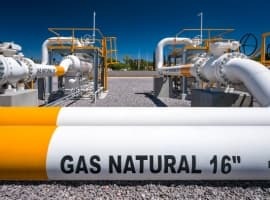 Crude prices dropped on Thursday as it became apparent that a much more aggressive move – a lengthier extension or deeper supply cuts – was off the table. For OPEC, the price reaction is surely frustrating. Keeping so many oil producers on board with a plan that requires significant sacrifice has always been a monumental task, not least because many of the countries involved seriously distrust one another. More importantly, they are extending the cuts for another nine months, longer than anyone expected up until just a few weeks ago. In that sense, OPEC is a victim of rising expectations and its own efforts to inspire confidence in the oil market. Amrita Sen, the top oil analyst at Energy Aspects, agreed. "I think the market now, given that they announced the nine months already a few weeks ago, is expecting something a little bit more, maybe deeper cuts, maybe at least keeping the door open possibly for more cuts if inventories don't fall," she said in a CNBC interview. Indeed, there is still more work to do. Oil inventories in the OECD are still 300 million barrels above the five-year average, which is not all that much lower than they were when the initial six-month OPEC deal commenced in January. 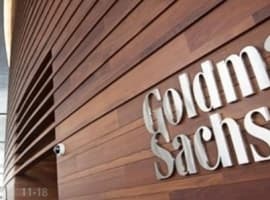 Although several notable energy watchers including the International Energy Agency and investment bank Goldman Sachs argue that the oil market is probably already in a supply deficit, most agree that it will take an extended period of time for inventories to come back down to average levels. However, according to asset management company AB Bernstein, even if the market is in a deficit and inventories are in decline, the normalization process will stretch well into 2018. The firm says that if inventories declined by 1 million barrels per day, for example, it would take 11 months until stocks fell back to the five-year average. As a result, the OPEC nine-month extension was necessary and appropriate, but not a radical game changer that would spark a major oil price rally in the short run. JBC Energy offered a more pessimistic assessment, arguing for the OPEC cuts to be extended through the end of 2018 if the market is to reach some sort of balance. OPEC is a bit more bullish, expecting this balance to be reached by the end of this year. Left unsaid is what happens after the deal expires in 2018 – some warn that the glut would simply return. If that appears to be the case at the end of the first quarter of 2018, OPEC might be forced to extend once again. “We have said we will do whatever it takes,” Saudi energy minister al-Falih said on the possibility of further action, channeling his inner-Mario Draghi. It's almost like it's manipulated !!! (Sarcasm). Like we found out today the VIX market and we'll every market. Market really not a proper definition of course. I predict that someday, when the proverbial 300 million barrel OECD inventory overhang is reduced to the glorious 5-year average, and after we've all chewed our fingernails down to the middle nuckles in rapt expectation of that day, the wise and omniscient Oil Traders will yet arrive at yet one more argument for why oil shouldn't rise above $50/bbl. US stocks will never go back to the 5-yr avg. There are >100M new barrels captive in new pipelines and storage hubs to keep pipelines full. That oil is no longer usable but will remain in the EIA stock report until the day no one is using oil anymore.